Before you set off on your holidays there will be a few things you need, from a new pair of swimmers to matching kayaks. We at Nissan have everything for that perfect trip. Load Carriers – These flexible load-carrying accessories help you take everything you need with you wherever you go. 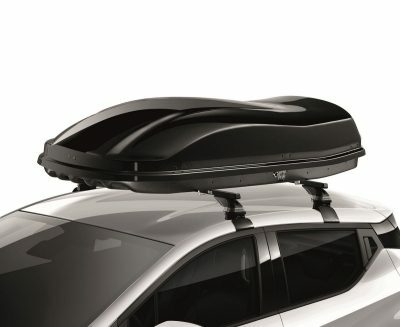 Roof Box – Our roof box can safely carry all of your luggage, outdoor gear and bulky loads wherever your travels lead. Roof Ranger – Increase your capacity with the roof ranger which can also be used in combination with our load carriers. Bike Carriers – Fitted correctly you ensure your safety and the safety of others on the road. You also protect your bike from any damage. 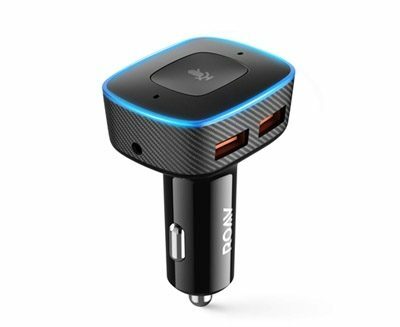 For those who crave control, the ROAV VIV - Alexa In Car, gives the user voice command control over maps, calling, music streaming and an ever-expanding music library. Suitable for all models and vehicle age and perfect for customers opting to buy our wireless phone charger. 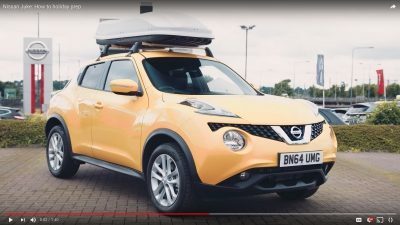 If you are looking for something more secure, our roof box can safely carry all your luggage, outdoor gear and bulky loads wherever your travels lead. 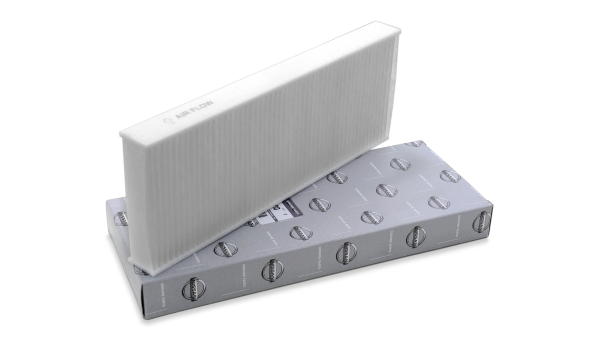 Its quick and secure mounting, along with the smooth opening and closing of the lid, makes it the ideal choice. 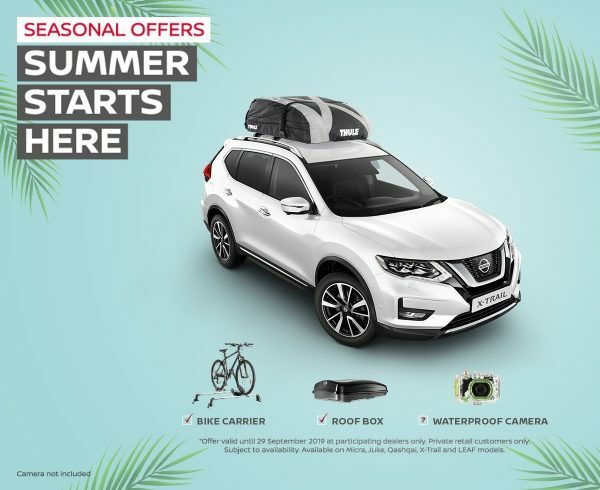 Your Nissan is the ideal companion for a well-deserved holiday, and here's our guide to all the holiday essentials. From roof bars, roof boxes and bike racks to first aid kits, warning triangles and GB stickers - make sure you're prepared for whatever life may throw at you. Make sure you're prepared, with our guide to safe motoring during the colder months. These simple checks will ensure you're prepared for the worst of what the weather can throw your way. Make sure your Nissan has healthy tyres all year round with these handy tyre health checks. 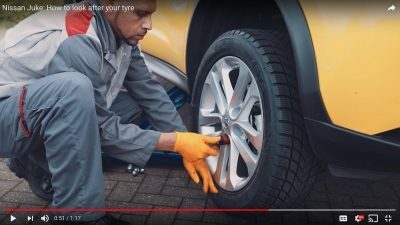 Whether it’s checking your tyre pressures, tread depth or general tyre condition - these safety checks are simple and easy to perform yourself. 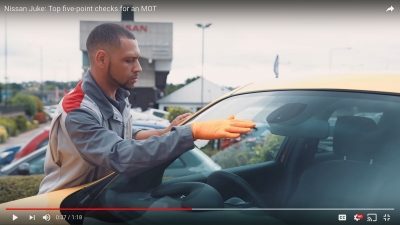 Here are our top five MOT checks to make sure your Nissan has the best chance of passing its MOT. 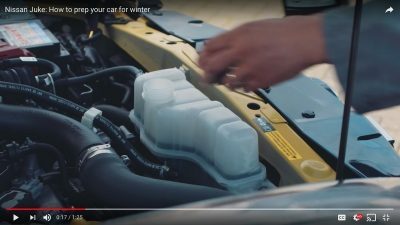 Simply follow this step-by-step procedure, and it will take the stress and hassle out of your next MOT examination. 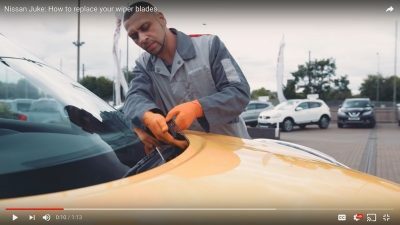 We explain how to lift or change your wiper arms in the Nissan. Wiper blades generally last about six months to a year, depending on how much use they get. If they start to leave streaks on your windshield, or make scraping sounds, it’s definitely time for a change. Here's a handy video tutorial of how to change them. 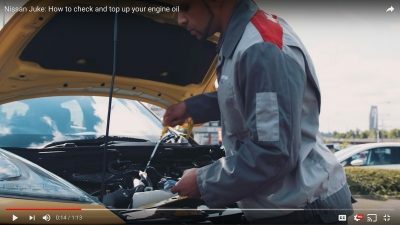 We show you how to correctly top up the oil in your Nissan, with this step-by-step video tutorial. Oil helps to keep your engine running, and failure to check that the correct levels of oil are in your Nissan’s engine could result in poor performance or even major engine damage. Follow our guide on how to make sure your Nissan is in optimum condition. 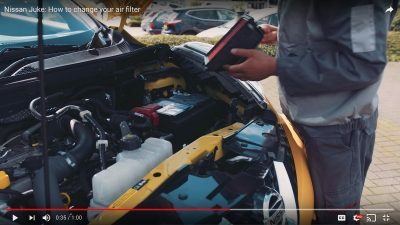 Changing the air filter in your Nissan couldn't be easier. We explain how in this simple video tutorial. The lights on your Nissan are one of the most important safety features on the car. Ensuring that these are always working at their optimum is very important. 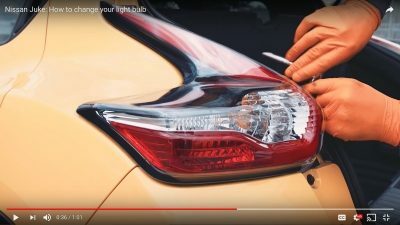 Here's a quick guide on how to replace any blown or damaged bulbs in your Nissan. 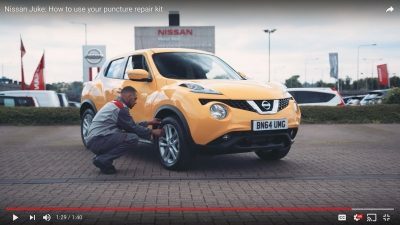 Here's how to use the tyre puncture kit in your Nissan when you have a flat tyre. Your vehicle includes an emergency tyre puncture repair kit to temporarily repair minor tyre punctures. Included is a bottle of tyre sealant and an air compressor. The emergency tyre puncture repair kit is supplied with the vehicle instead of a spare tyre and must only be used to temporarily repair a minor puncture. After using the repair kit, visit a Nissan dealer as soon as possible for a tyre inspection and professional repair/replacement. Stats are based on Texaco Chevron’s research:* Based on savings made by a limited but we believe representative sample of Petrol and Diesel cars tested. Figures calculated in accordance with:(a) independent testing June-September 2012 across four different popular models of petrol car and six popular models of diesel car over a 500 mile test cycle. 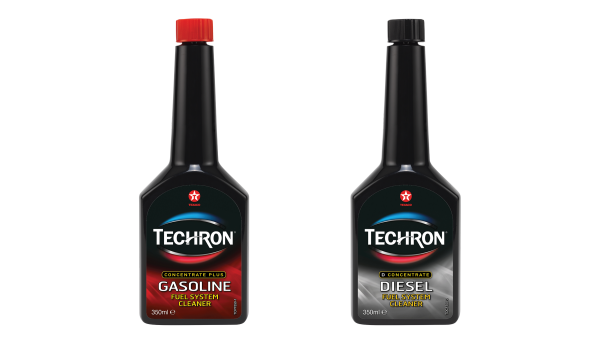 Figures from these tests were: average Petrol MPG pre Techron 26.6 , average Diesel MPG pre Techron 40.7, average post Techron Petrol MPG improvement 8.7%, average post Techron Diesel MPG improvement 7.6%;(b) cost of petrol at £1.148 per litre and diesel at £1.119 based on AA fuel report August 2015;(c) fuel saving figure includes the cost of Techron treatment (recommended every 6 months or 6,000 miles) at £19.99 each (savings figures will vary dependent on purchase price);(d) savings based on average annual mileage of 6,900 miles p.a. for Petrol cars and 11,200 miles p.a. for Diesel cars in accordance with Department for Transport statistics: Annual mileage of 4-wheeled cars by fuel type: Great Britain, 2002 to 2012; and(e) testing data based on vehicles with PFI Petrol engines or Direct Injection Diesel engines. Actual savings achieved will depend on factors such as type and condition of engine as well as driving conditions and styles. Terms and conditions apply. Offer valid until 30 September 2019 at participating dealers only Private retail customers only. Subject to availability. Terms and conditions apply. Offer valid until 30 September 2019 at participating dealers only Private retail customers only. Subject to availability. Available on Micra, Juke, Qashqai, X-Trail and LEAF models.